Waed Bouhassoun was born into a family of music lovers. At the age of seven, she was given a small oud by her father. 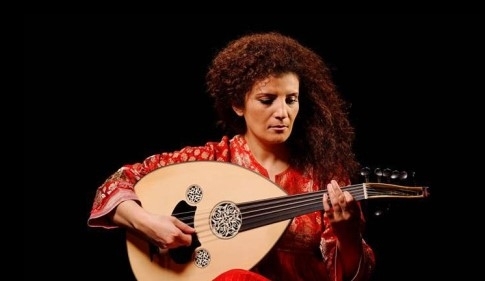 The family then went to Yemen for two years and she discovered local music form at women gatherings, thus opening up to other styles than her native country's or the songs of such Egyptian stars as Oum Kalthoum, Farid al-Atrache and Asmahane. She then joined the High Insitute of Music in Damascus, at the time very marked by Western music. She has made the most of all these influences to create her own personal style while remaining faithful to the musical spirit of her native land.